Perhaps one of the most infamous conditions in musculoskeletal medicine is Carpal Tunnel Syndrome (CTS). It is also one of the most often mismanaged conditions out there. The carpal tunnel is formed by the wrist bones on the bottom and the transverse carpal ligament over the top. The median nerve runs through the tunnel along with the flexor tendons to the wrist – this is a cramped space! 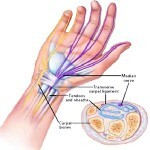 Pressure within the tunnel can compromise (entrap) the nerve and lead to carpal tunnel syndrome. The hallmark of carpal tunnel syndrome is numbness in the thumb, index and middle finger. Note: if you have numbness or tingling in the pinky finger and not the other fingers, then you DON’T have CTS. If you have numbness or tingling in the pinky finger and some other fingers, then you probably have CTS AND some other nerve compression (such as Thoracic Outlet Syndrome or a Cervical Disc Herniation). Remember, numbness or tingling in the pinky will not be helped by traditional carpal tunnel treatments including surgery. The condition is more common in pregnant women, middle aged women, and people with jobs that include daily repetitive hand motions (like typing and using a mouse). The condition is diagnosed by a physical exam, as well as a nerve conduction study (a test that measures the health of the nerves by measuring the speed of nerve conduction). A delay is indicative of carpal tunnel syndrome. 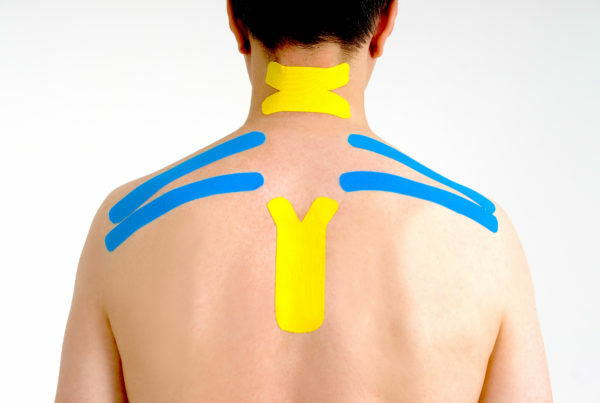 Initial treatment usually consists of conservative physical therapy including stretching and strengthening exercises, nerve/tendon gliding exercises, and addressing other potential causes of nerve entrapment. It’s important to recognize that problems in the cervical spine, shoulder or elbow can cause or contribute to these symptoms. Thus, all of those regions must be evaluated in order to treat the whole condition properly. This is where most medical practitioners fall short in treating CTS. 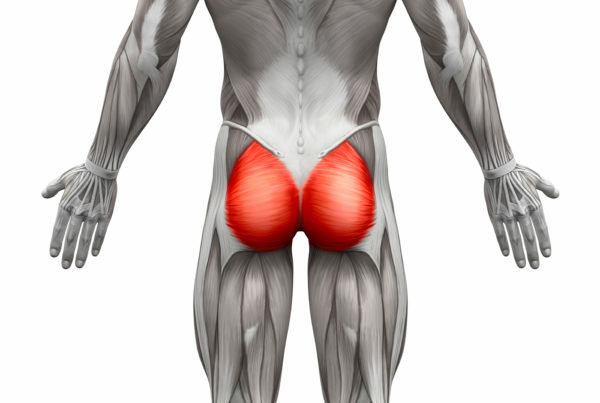 If the symptoms persist, cortisone injections can be tried. If conservative measures fail, or there is evidence of nerve damage (such as weak thumb muscles or profound numbness), then the carpal tunnel can be released by surgically cutting the ligament slightly to give the nerve more room in the carpal tunnel.